Work in progress in Craig Stockwell’s New Hampshire studio. 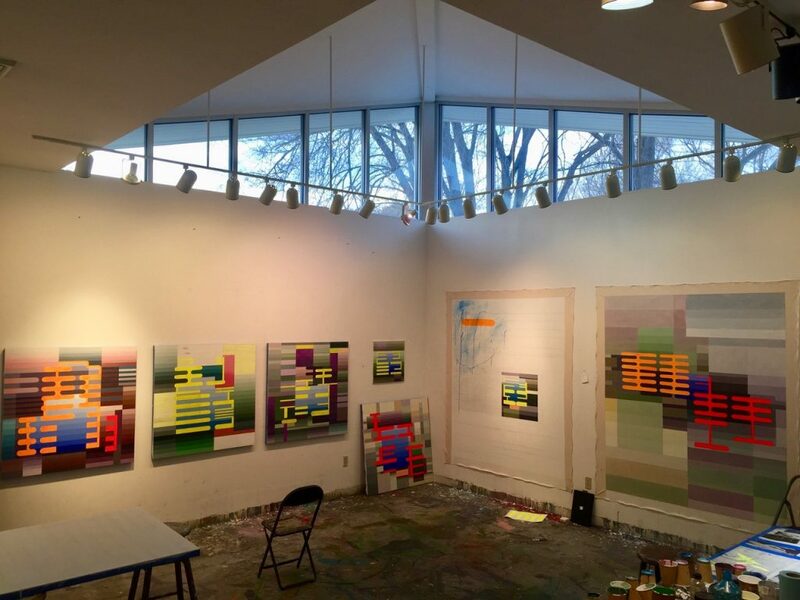 Contributed by Sharon Butler / Noted New Hampshire painter Craig Stockwell will be in residence at Two Coats of Paint from May 6 through May 12. A former resident in the Sharpe-Wallentas Studio Program, Craig is no stranger to DUMBO, and we’re looking forward to having him back for the week. 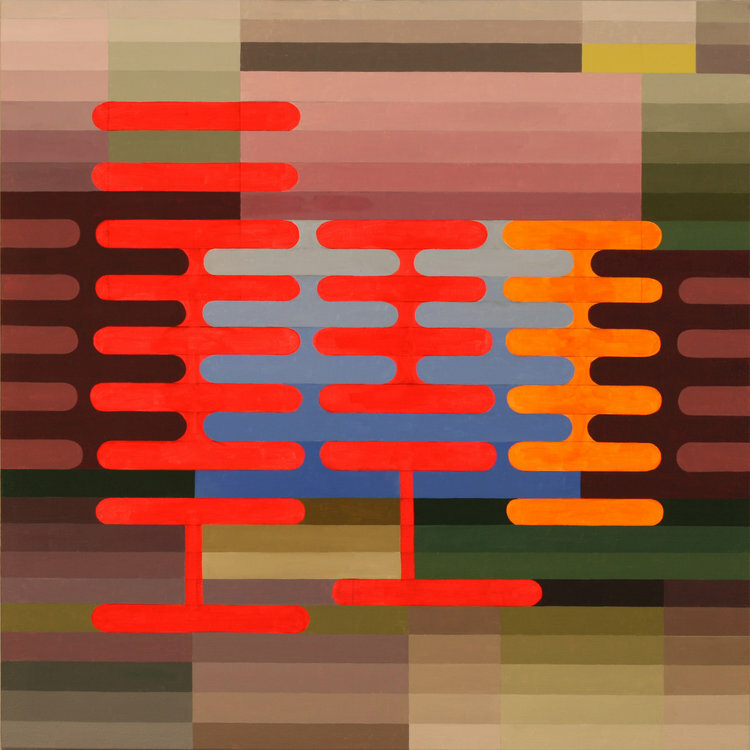 In 2016-17, his work was selected for the prestigious DeCordova Biennial, as well as the Northeast edition of New American Painting. After an uncharacteristic embrace of figurative subject matter in 2017, Craig has returned to an abstract idiom featuring geometric form. 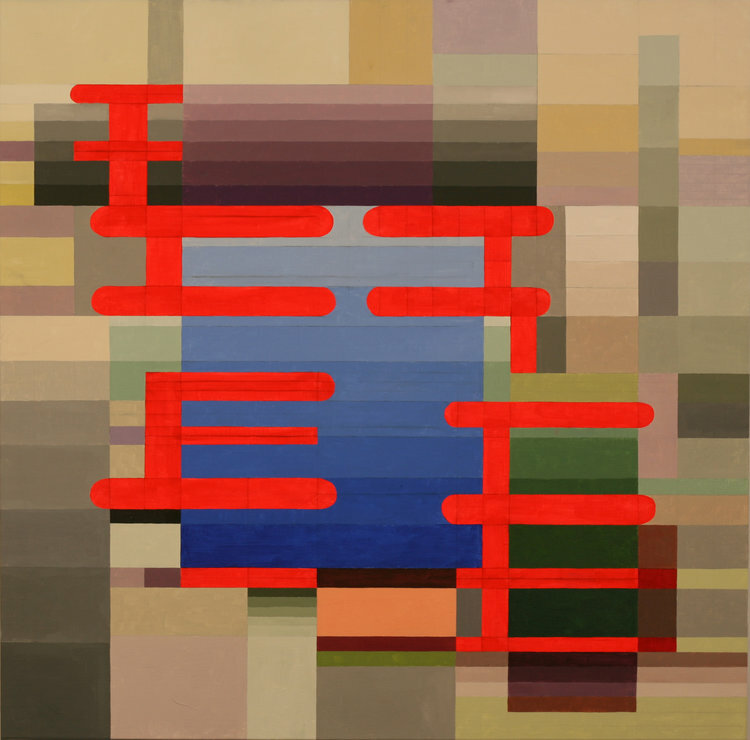 In his handsome new work, Craig continues an ongoing conversation about the language of painting. Craig Stockwell at work in New Hampshire. 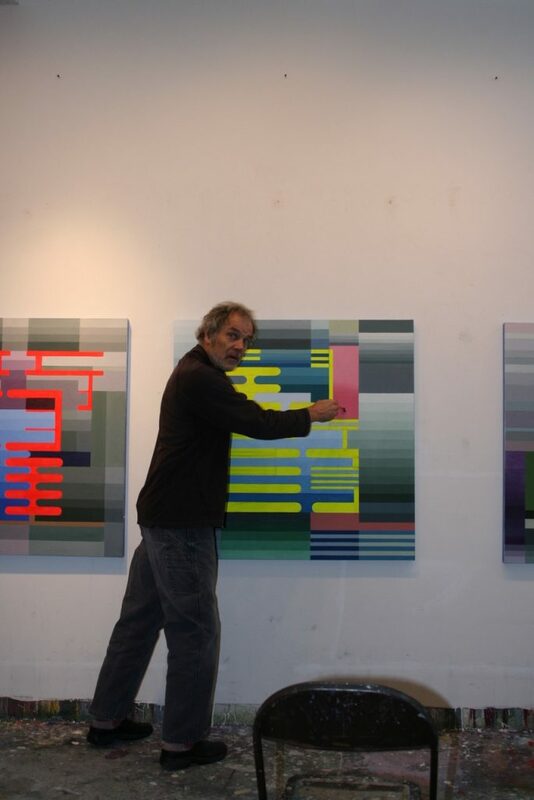 Please join us for an Open Studio on Wednesday, May 9, 6-8 pm, to meet the artist and see his handsome new paintings. DETAILS: Craig Stockwell, artist-in-residence at Two Coats of Paint, 55 Washington Street #454, DUMBO, Brooklyn, NY. May 6 through May 12. Congrats, Craig, true honor! I’m excited to see your new work.